I like the way you managed the meeting. You make the best chocolate cake. Your look amazing in that outfit. Compliments. I am sure you have all received compliments and hopefully given them. My question to you is what did you do with the compliments? Er- thanks. I didn’t do anything special. My chocolate cake is nowhere near yours. This outfit – I bought it ages ago on sale. I am trying to not totally fail as a parent. A very special friend of mine who happens to be amazing at giving compliments taught me that compliments should be collected. Collected the same way that you would collect rare stamps, or art work or vintage cars. Those collections are valued and discussed and shared with those around you. 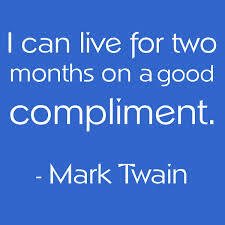 The same should apply to your compliments. Colleen, don’t ever underestimate just how important you are to me. 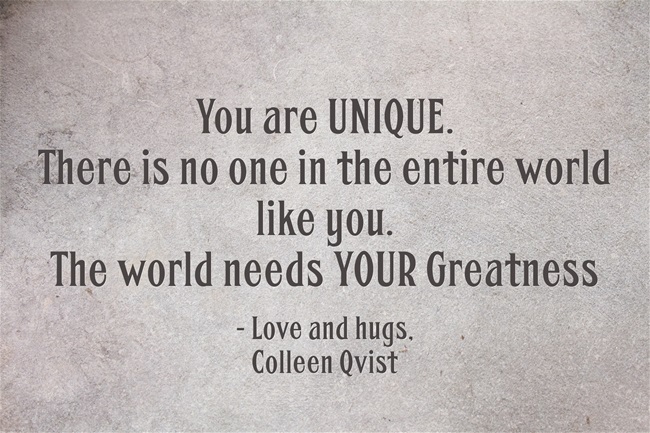 Colleen – in my army of friends who support me, you are a General. Pretty cool compliments, don’t you think? Compliments need to be accepted gracefully and valued. Of course I do not mean that you should be big-headed and lack humility, but accepting a compliment acknowledges the giver and your gift. Your compliments should be kept somewhere where you can access them because we have this way of forgetting all the nice things that have been said about us. I keep my compliments on my phone and I regularly e mail myself a copy as it would be really sad to lose them. Do you know when these compliments come in really useful? On those days when you are feeling down and the idea of sitting in the garden eating worms seems like a good idea. Read your compliments that you have collected and I can assure you that you will feel happier in no time. I would love to hear some of your compliments that you have received. Do share them. Here is one for your collection.